In India, we know that restriction on cow meat has become the main reason for the growth of goat farming. Because meat demand is increasing rapidly and goat meat is an option to meet this demand. Goat farming business is growing rapidly due to the increase in meat-feeding in India. Not only the farmers but the educated young people are also growing very enthusiastically towards this business. Because there is a great demand for meat in India and the number of goats is very low in order to fulfill it. Goats in India is usually reared for the purpose of meat. Because goat milk is not used much in India. 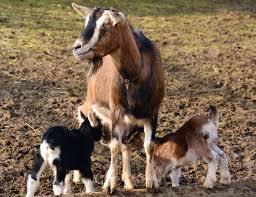 Goat of beetle breed found in Punjab province in India is considered as good in milk production. In this post we will learn about the main goat breed found in India. The goat is a bewildered animal in its climate. Goat is found in India from Kashmir to Kanyakumari. The goat's physical characteristics and properties are varied according to the diverse area's climate. It is difficult to get a goat of pure breed in India. Goat's pure breed is very difficult due to internal breeding of goats under different breed.